Garbuna volcano at the southern end of the Willaumez Peninsula, New Britain, is part of a basaltic-to-dacitic volcano group consisting of 3 volcanic peaks, Krummel, Garbuna, and Welcker. Garbuna volcano erupted on 17 October 2005 after having been dormant for almost 1800 years. The Garbuna group of stratovolcanoes is located along a 7-km N-S line above a shield-like foundation at the southern end of the Willaumez Peninsula. The central and lower peaks of the Garbuna volcano in the center are free of vegetation and contain probably the largest thermal field in Papua New Guinea. A prominent lava dome and blocky lava flow are located in the center of thermal area and have resisted chemical erosion, and could be younger than 10,000 years. The 854-m-high Krummel volcano at the south end of the group contains a summit crater breached to the NW. The highest peak of the Garbuna group is 1005-m-high Welcker volcano, which has fed blocky lava flows that extend to the eastern coast of the peninsula. The last major eruption from both Welcker and Garbuna volcanoes took place about 1800 years ago. 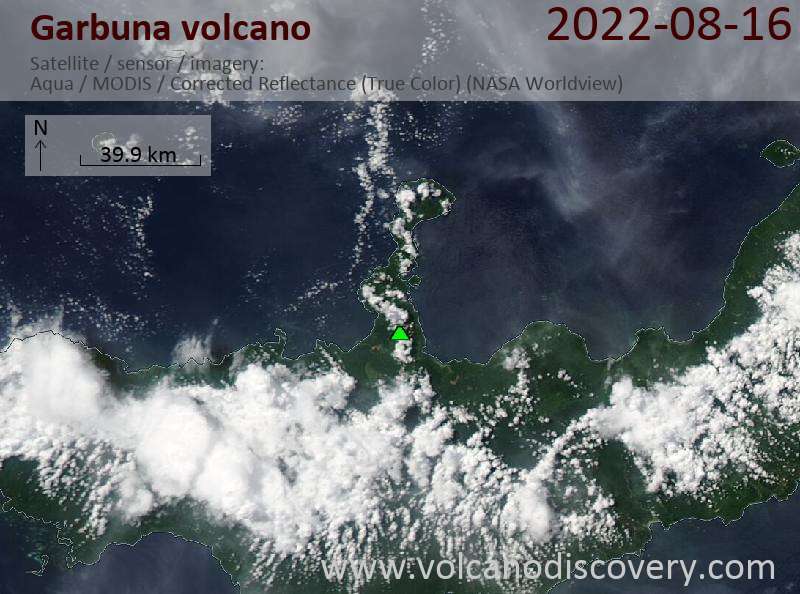 A new eruption at Garbuna volcano began on 11 March 2008. Prior to that, little ativity except steaming had been observed. The eruption on 11 March consisted in small ash emissions rising to less than 1 km and causing light ash fall in the SW direction. Sometimes, "booming noises" were heard accompanying the emissions. Minor ash emissions continued on 12-13 March and sulfus odor was noted downwind on 14-15 March. No glowing lava was observed at the summit. On 17 March seismic activity increased and strong steaming occurred, but there are no reports about ash emissions. The next reports about light ash eruptions come from 13 July 2008, when ash plumes were observed rising to 1 km above the summit crater. 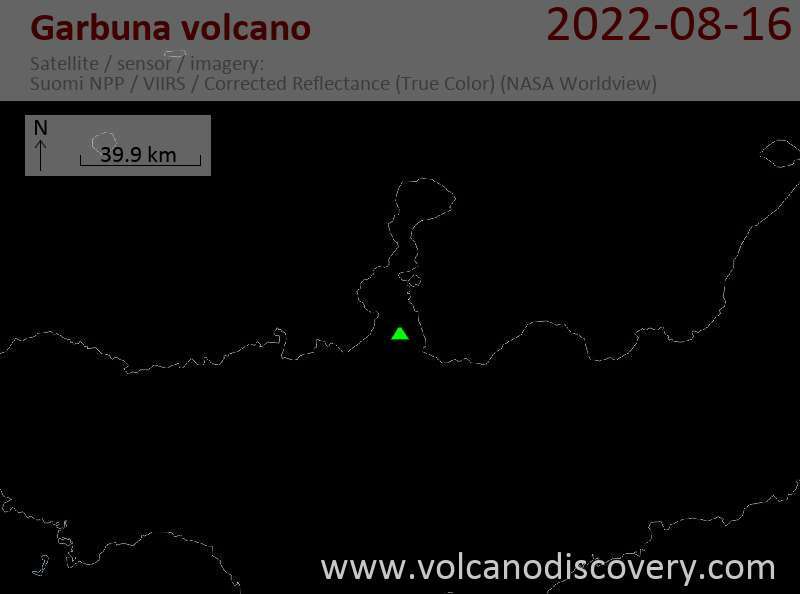 Ash emissions occurred on 5 August and were accompanied by incandescent lava ejection. Activity resumed on 23 September 2008, when a pale gray ash column was observed rising to 1000 m altitude. Sustained volcanic tremor was recorded at the volcano on 29 and 30 September 2008. Incandescent lava eruptions were observed in August 2008.